Done last summer, various studies that survived and are hanging around somewhere in the studio. 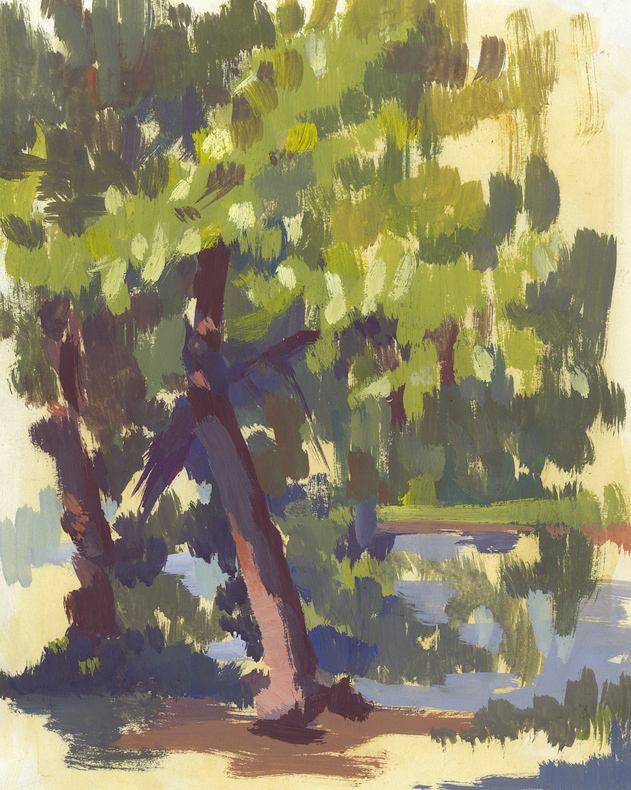 Hyde Park summer study. The drawing is quite off, but I learnt something valuable about covering the canvas as efficiently as possible, and learning how to see broad masses instead of individual detail. Will go back to the same location just to see how different a study now is compared to back then. 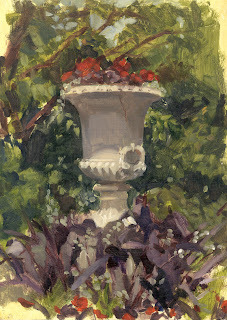 Regent's park vase study. 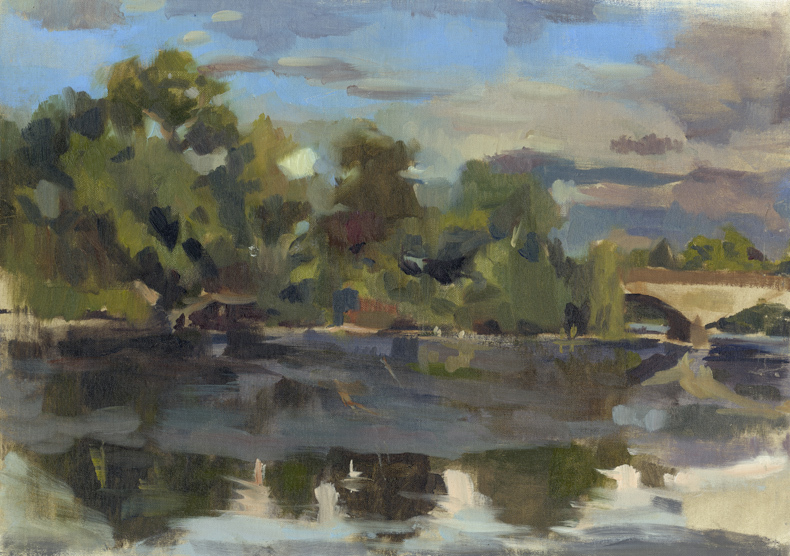 Oil on card panel. 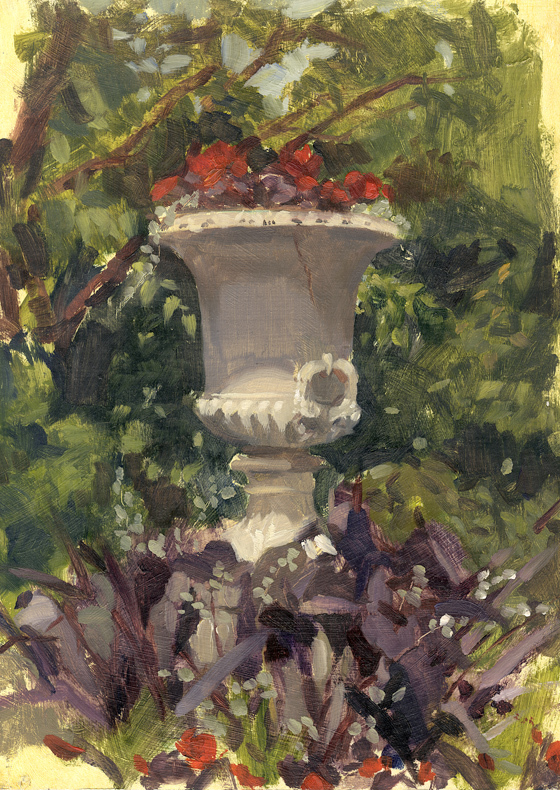 This was interesting, first time working with a set of toned panels and working out-of-doors with supports larger than 5” x 7” (i.e. not a poster study). 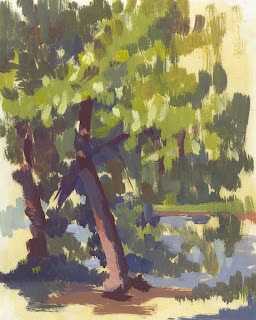 Trees at St James, gouache- messing around with some handling techniques, around this time, trying out certain things with watercolours as well. Recently saw a Newlyn school-ish watercolours at a Sotheby's public viewing- the soft edges and crazy-controlled technique was absolutely staggering, it looked like oils but done all in watercolours. Total boss-like handling, and something I wished to be able to attempt someday. The old adage that 'people who extensively use watercolours are either total amateurs or total masters' is so true. It's a reverse psychology thing- the less toxic the medium and pigments, the more difficult it is to handle!